The Welcome Reception will be held at the late-gothic Town Hall from the early 16th century, located at the central market-place. Since over 400 years one can see and hear the same amusing spectacle every full hour: From the renaissance gable on the roof of the town hall an old cockerel flaps his wings accompanied by harsh, tinny trumpet blasts. During the welcome reception, drinks and finger food will be served. Fascinating narrow lanes, crooked steps, superbly restored half-timbered houses and venerable old churches. 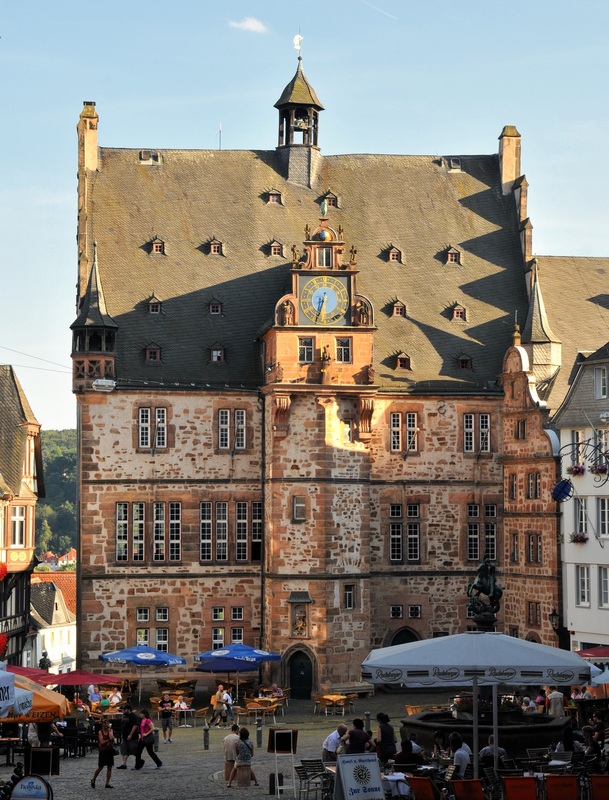 The old town of Marburg invites you to wander and to spend a little time to appreciate its own special charm. Everywhere you are confronted with clues and evidences which document the lives of the great who lived here. Such figures as the Brothers Grimm, Martin Luther and the Nobel prize winner Emil von Behring all left their mark. The guided tour will end just in time at the Landgrafenschloss where the conference dinner will be held. 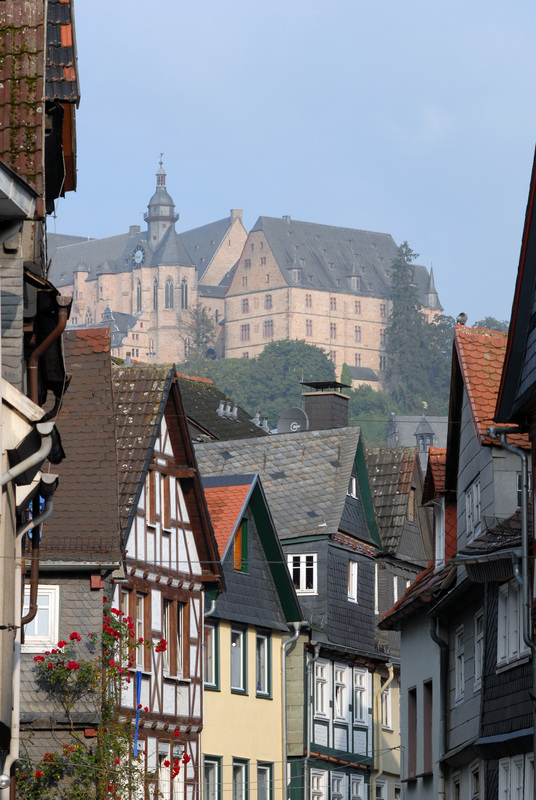 The conference dinner takes place at the historic castle Landgrafenschloss, which towers high above the Marburg old town. The first Hessian landgrave Heinrich I, grandchild of der Holy Elisabeth, extensively remodeled and extended the existing castle (originating in the 9th and 10th century) and used it as his residence in the 13th century. In 1493 the foundation stone of the youngest building, the Wilhelmsbau, was laid, which today houses the university’s museum for cultural history. The cozy Barrio Santo bar hosts the midterm reception. From its roof-deck, you have a beautiful view on St. Elisabeth’s Church, Marburg’s most famous building. 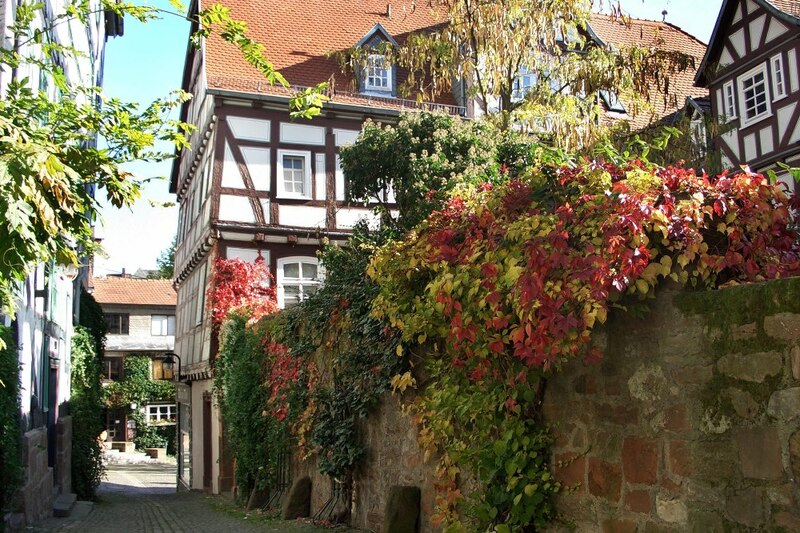 In the immediate neighbourhood to the Marburg castle, you can explore a very special location. 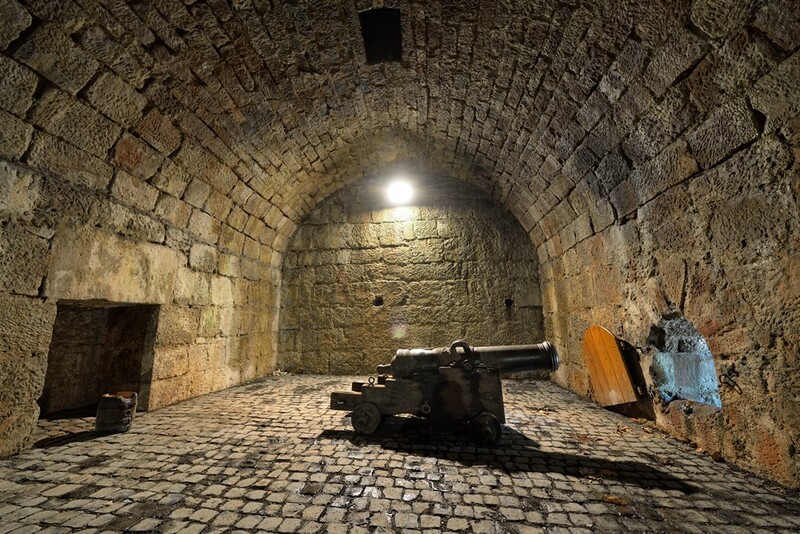 Via antique stairways you will descend into the former fortification, the casemates. They provide a vivid impression of the combat conditions of former times. Also, the “Witch Tower” with its prison cells is part of this special guided tour.